At age 4 success is… not peeing in your pants. At age 12 success is… having friends. At age 16 success is… having a driver’s license. At age 35 success is… having money. At age 50 success is… having money. At age 70 success is… having a driver’s license. At age 75 success is… having friends. At age 80 success is… not peeing in your pants. We like to put our best work out there for the world to see, don’t we? Basking in the admiration of others is part of the fun of unveiling our latest idea or creation. I think the reason we enjoy this so much, is because of the many times, the unseen-hidden-from-view times, our work falls short of what we’ve envisioned. This happened to me today. I needed to make a card to give and so after work I headed straight for my basement hideaway just the other side of the washer and dryer. I had an idea. I knew exactly which embossing folder and which die I would use to create my beautiful card. I wasn’t sure of the colors, I needed to riffle through my horde, but I was excited and couldn’t wait to start. The card I made is perfectly acceptable. But it’s not what I had pictured in my mind when I raced to my craft table. If I hadn’t said anything, you’d never know the execution didn’t live up to my vision, so why am I telling you? Why have I posted it for all the world (well, a few of you in the world) to see? Because on this creative journey, I believe my bloopers and stumbles are just as important as the perfect execution of an idea. I learn from my mistakes. Whether it’s a rejection letter from an editor or unmatched corners in a quilt block, if I take the time to examine the feedback and study where I went wrong, I can improve my results the next time. On the card below, I embossed the printed paper with die cut flowers already adhered using Cuttlebug’s D’vine Swirl (Divine Swirl) embossing folder. The flowers were cut using BossKut’s # 0692 Petite Flowers die. ‘Thinking of You’ is stamped on paper cut using Spellbinder’s Label Four die. 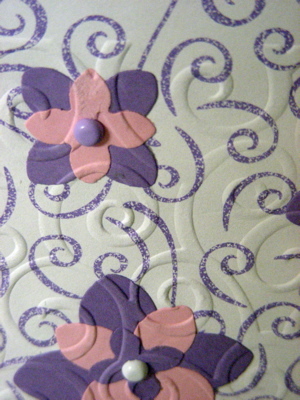 Though I thought the swirly paper was just begging to be embossed with D’vine Swirls, I don’t like how it came out. I’ve included a close up so you can see the embossing. I think that’s what isn’t working for me. The embossing doesn’t show up. 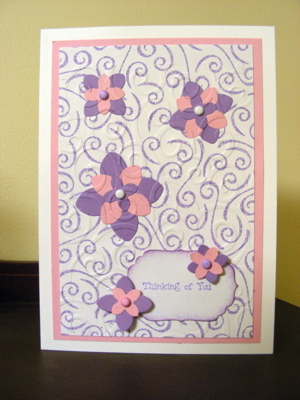 So I’m going to use these exact same tools and duplicate this card using a different color combination. I’ll post the results – good or bad. Posted in Anita K Greene, Author, Paper craft, Writer and tagged #0692, Boss Kut, BossKut, Card stock, Cuddlebug, Cuttlebug, D'vine Swirl, Divine Swirl, Embossing (paper), Labels Four, Paper, Petite Flowers, Spellbinder, Swirl, Thinking of You. Bookmark the permalink. 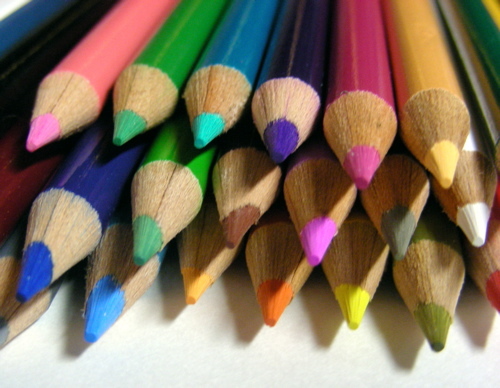 Creativity For Life had a great post last week on unlocking the creativity that is inherent in all of us. In the article, Vivian Banta defines creativity as a way of thinking or perceiving the world and its possibilities.We need to set aside our narrow view of what we believe creativity is and open our minds to the possibility that lies within every one of us. To do this, Ms. Banta has given us five steps. Let’s explore the first step together. Make a choice to be creative. The idea that you are not creative may have been planted by a well meaning art teacher who considered drawing the human form to be a science. (Her name was Miss Warner. She was at least 100 years old and had blue rinse in her hair.) Don’t get stuck trying to fit into the traditional avenues (art, music, writing, etc.) if they don’t interest you. Perhaps you want to start a business or find a way to take the fight out of your child’s bedtime. Maybe you’re all thumbs and can’t sew a button on a shirt but you have innovative organizational and time management skills. Don’t compare yourself to others. This is about you and what makes you feel alive. What gives you a sense of accomplishment? What makes your spirit soar? Decide what creativity will look like in your life. Next week we’ll look at Step 2: Expand your horizons. Posted in Anita K Greene, Author, Creativity, Writer and tagged Art, Creativity, Creativity for Life, Music, Time management, Vivian Banta, Writing. Bookmark the permalink. It happens every year about this time. I come home from work to find out pumpkins have infiltrated the house. Today, three gathered in the window to surprise me. 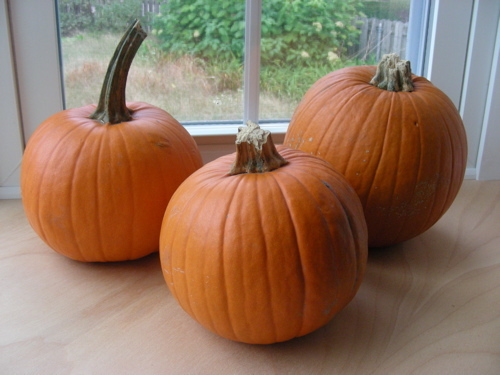 This early in the season, they are the small sugar pumpkins used for baking. As the season progresses, they’ll get larger, showing up on the mantle, dining room table or doorstep. I never know how many will turn up in any given fall season. The factor that determines the quantity of pumpkins is the size of Son’s wallet. The more moolah, the bigger the crop of pumpkin interlopers. It all began when he was a child…. No, really, it did. The color orange might as well have been the ONLY color in the Crayola box. It was and still is his favorite color. I realized the extent of his obsession at his first Easter egg hunt. He walked past the purple, blue and green eggs gathering orange ones as fast as he could. There weren’t that many because the other kids were scooping up the orange eggs, too. But Son didn’t care. Never mind that he was passing up some really great candy stuffed inside those wrong color eggs. His treasure was all orange and he was happy. The love of orange grew into the love of pumpkins which led to the love of all things Fall. And silly me, I followed his lead, decorating for Fall, Halloween and Thanksgiving as though it were… well… my favorite holiday, Christmas. The decorations filled six large tubs and were stored in the attic crawl space. And then he grew up and I got old tired of hauling all that stuff out, putting it up, dusting around it (okay, not often, but still…) then putting it all away. So we’ve downsized the decorations. But the pumpkins, real and faux, still make their appearance every Fall. By the end of October the large pumpkins have toothy grins and candles. It’s the middle of November before the small pumpkins are baked in the oven, run through the Foley Food Mill and used as pie filling. Yes, Son does it the hard way, but he enjoys the process. Old Roady and I enjoy the pie. Posted in Anita K Greene, Author, Creativity, Food, Writer and tagged Fall, Pie, pumpkins, The color orange. Bookmark the permalink. I love sunflowers and so do a lot of other folks. A quick search on line brings up loads of sites related to the cheerful sunflower. On-line stores, blogs, guides – you name it – all centered around one flower – the sunflower. For me, this flower says, Autumn! That’s when the flowers are heavy with seeds that the birds will feast on if you don’t rescue them first. I didn’t know this flower originated in North America with the Plains Indians until I found www.sunflowerguide.com. At the Tonic website, today’s blog is titled: Sunflower Power: How a Cancer Survivor Inspired Her Community. Be sure and stop over to read about Nancy Siegler of Sacrament, California and how she ‘combined the happiness of the sunflower with the awareness of breast cancer into an event to raise money for breast cancer research’. What she’s accomplished is truly an inspiration. We made this sunflower card at Stamp Camp. 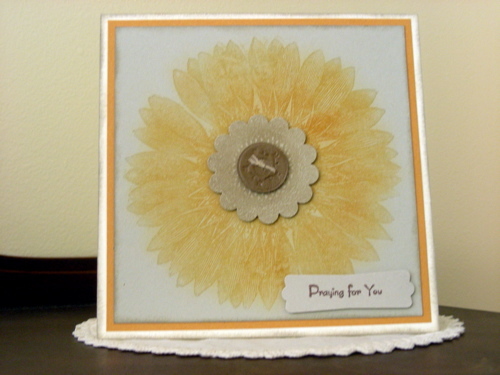 The Sunflower stamp, by Stampin’ Up is big and bold. For this card, we used Versamark ink to stamp the image then shaded it with chalk. On a scrap of paper, we stamped the image a second time and punched out the center. This was mounted with Dimensionals on the center of the first image. An additional accent was added to the center using a ‘button’ from the Sweet Buttons Embosslits Die. I look forward to sending this card to someone who needs their spirits lifted. The Tonic blog post closed with the following thought that has resonated with me. Imagine! Then plant the first seed. Posted in Anita K Greene, Author, Inspirational, Paper craft, Uncategorized, Writer and tagged breast cancer, Nancy Siegler, stamp camp, stampin dimensionals, Stampin' Up, Sunflower, Sunflower Card, Sweet Buttons Embosslits die, Tonic, Versamark, www.sunflowerguide.com. Bookmark the permalink. A scene in my story takes place in the salt marsh. Researching mummichogs and marshes, I’ve verified what I’ve experienced and have learned a great deal more in the process. I enjoy the discoveries made in research and have to use my time carefully or I’d never write! I live in an area rich with salt ponds and marshes. Along the rocks of the breachways, in the ponds and marshes, schools of ‘mummies’ swim just beneath the surface of the water. 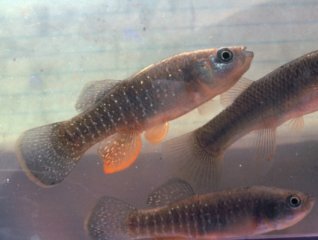 A small killifish, the name ‘mummichog’ is Native American for ‘going in crowds’. Able to withstand low oxygen levels and extremes in salinity, these little minnows thrive in the brackish water. Growing up, my brothers used mummies for fishing bait. Since most of my fishing was off the end of a dock at the edge of a salt pond, my bait of choice was the periwinkles that clung to the rocks. I caught small cunners and crabs that I promptly threw back. I don’t think I ever caught anything worth keeping. Probably a good thing. I couldn’t have stomached cleaning my catch. Posted in Anita K Greene, Author, Creativity, Writer and tagged breachway, fishing, killifish, minnow, mummichogs, Salt marsh, Salt pond. Bookmark the permalink.